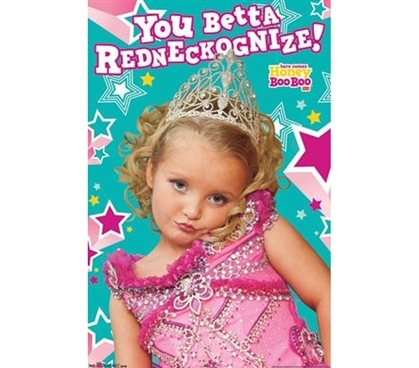 If you were entertained by Alana and her big family, then this Honey Boo Boo - Alana Poster could be a dorm wall decor item for your dorm room. One of the best things about college posters is, aside from helping to just plain make your dorm room look better, that they're very diverse dorm supplies. Posters for college come in all sorts of designs and images, so you can definitely find a few that are perfect to enhance your dorm decor. TV posters like this one will also help you share a potentially common interest with friends, which is another cool aspect of cheap posters. For all these reasons, they're dorm essentials on any college shopping list for sure!